Our philosophy is to educate you to understand your tax options so you can make better decisions and plan to save on your taxes. Most of our clients come from referrals. We feel it is very important to have a trusted, respected and friendly client relationship. 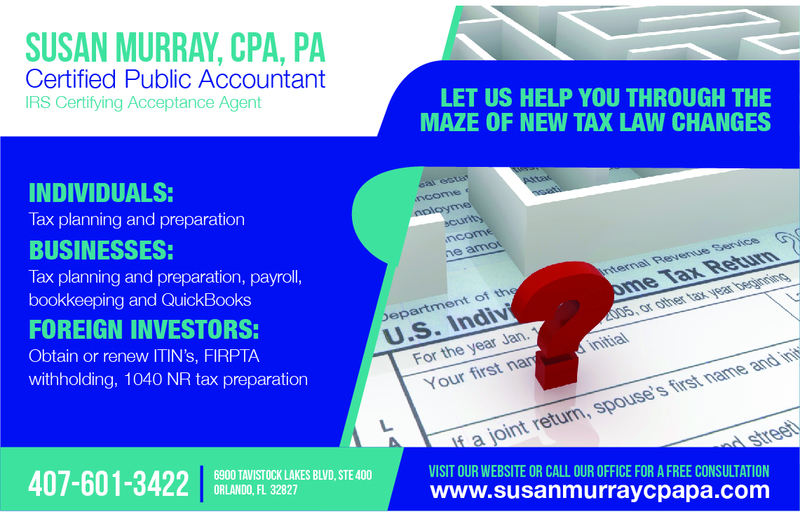 We sit with our clients during tax preparation time and enter your tax data into the computer, which allows us to answer your questions and gain a better understanding of your personal tax situation. If you are looking for a trusted Certified Public Accountant who will be by your side and will be accessible throughout the year, then we may be a good fit for you. America counts on Certified Public Accountants – educated, tested and licensed.